After display notches, foldable display could be the next big thing in the smartphone innovation. We already know a few OEMs who are developing a foldable smartphone of their own. 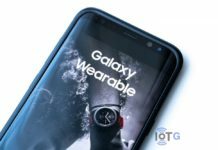 In fact, companies like Samsung, Huawei, and LG may launch their version of foldable smartphone in the next couple of months. 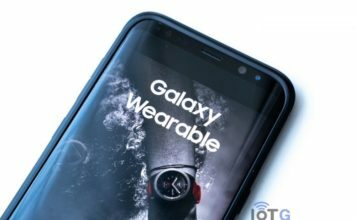 Now, new reports claim that at least two more OEMs are mulling on smartphones with flexible display. 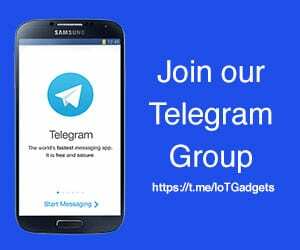 LetsGoDigital have unearthed patents from Intel and Motorola suggesting the developments. The patent from Intel isn’t a new one, but it does describes the chip maker’s intentions. It is a design patent for an ‘Electronic device with foldable display panels’, and contains many images and a very brief description. 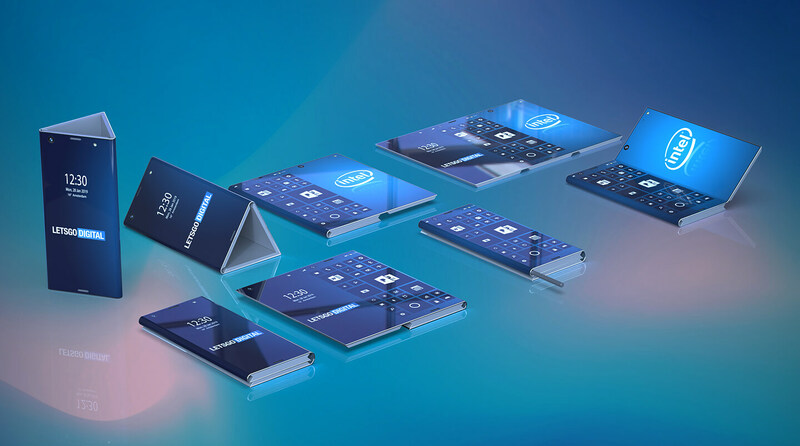 The illustrations show a foldable smartphone consisting of three display areas, and a stylus for operating on it. The device unfolds into a big tablet. 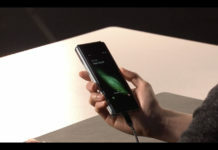 When folded, the display at the centre will act as the primary display of the smartphone, which can be operated with one hand. Naturally, two folds make the smartphone a bit thicker. 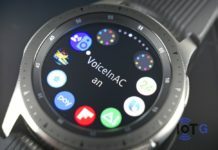 The device has no bezel, with components such as camera, receiver, and other sensors all placed under the display. It is highly unlikely that this device will hit the market anytime soon. But it does show that the foldable future is real and companies are invested in it. 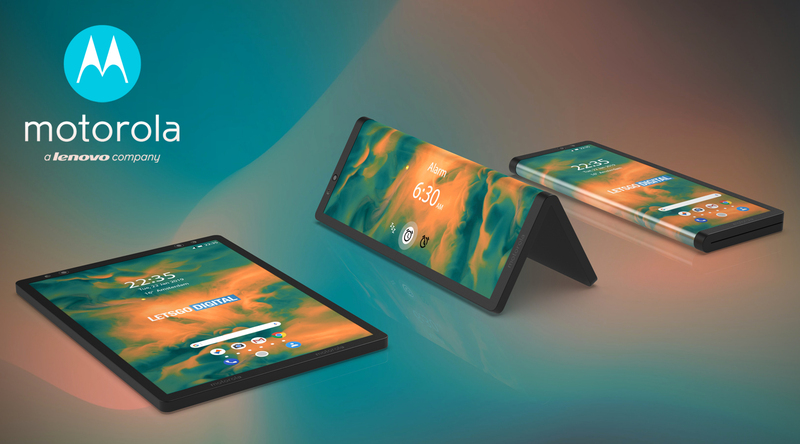 Lenovo-owned Motorola is the latest device maker to jump into the foldable future. Describing it as a ‘Deformable electronic device with methods and systems for controlling the deformed user interface’, the company has patented a design for a foldable smartphone that can fold outwards. When folded, the device can be operated through both parts of the screen. For example, a user can make a scroll movement on the rear display area to scroll through the content on the front side. There will be an indicator on the front display showing the position of your finger on the rear screen. Motorola’s foldable phone can also recognize other gesture movements like a single tap or a double tap, but also pinch, pull, swipe, drag or press. In addition, the cameras in the device will be able to detect user’s face/eyes movement. This will help to determine which display part (front or rear) to in use. 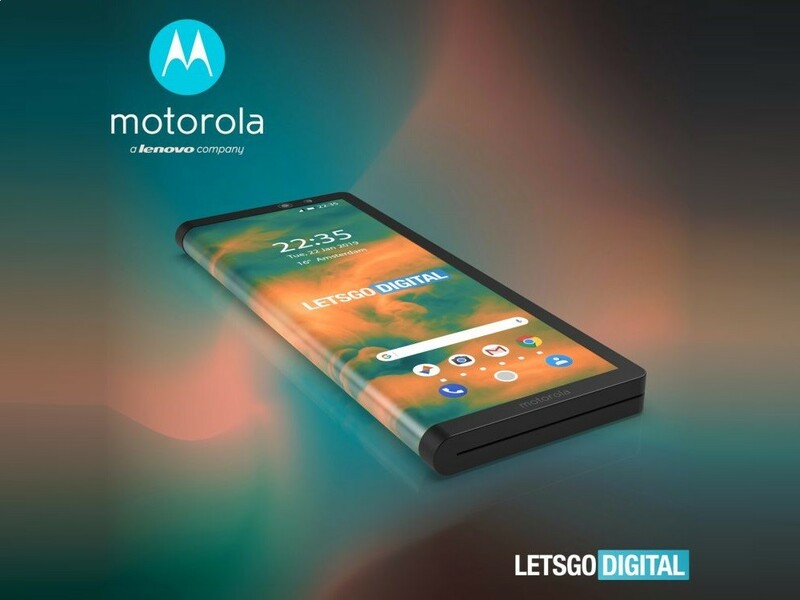 The foldable Motorola smartphone may appear at the MWC 2019 in Barcelona next month.